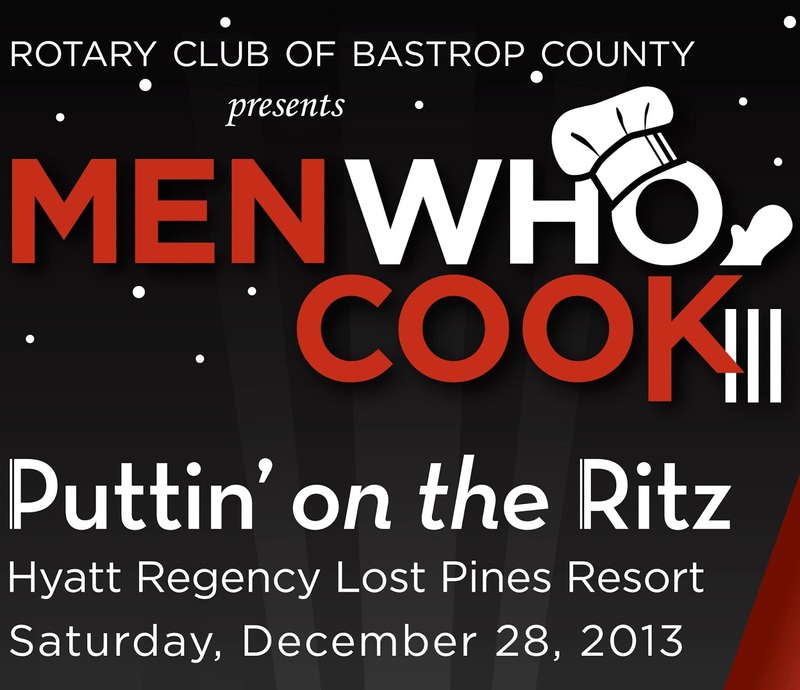 Men Who Cook is an elegant culinary affair, hosted by the Rotary Club of Bastrop County, where men in the community don an apron to serve up their best fundraising dish. The evening includes dancing, auctions, a cash bar, and of course, a myriad of delectable dishes. 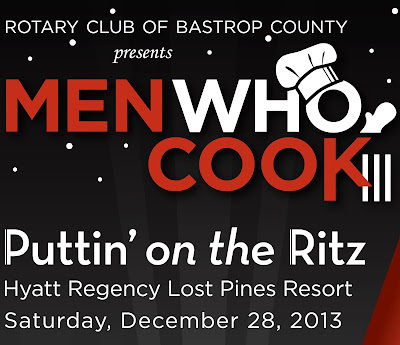 This year, Men Who Cook will be held on Saturday, Dec. 28th at the Hyatt Regency Lost Pines Resort and Spa. Tickets and sponsorships are still available. Click here to purchase tickets and tables online. The Giveaway ends on Friday, Dec. 20th at 12pm. Winners will be notified by email within 48 hours. If you have questions about the Giveaway, please email info@365bastrop.com. For information about advertising, giveaways, or promoting your business through 365 Things to Do in Bastrop, Texas, click here. GOOD LUCK!! !